Single resources are priced at $9.95 each, with some exceptions. Some resources have been developed as part of a series. In this case, they can be purchased separately or as a complete series. Series prices vary depending upon the number of volumes or modules in the set. Make volume purchases of single or multiple titles. Typically, quantity discounts apply to purchases greater than 100 copies of a single title. Discounts start at 10% and increase incrementally with volumes. 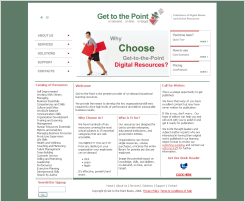 Get-to-the-Point is the premier provider of on-demand situational learning resources. 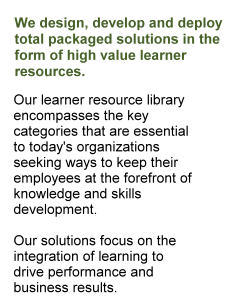 We provide the means to develop the key organizational skill-sets required to drive high levels of performance and deliver measurable business results.